CHIAVARI, Italy –Today is Palm Sunday. 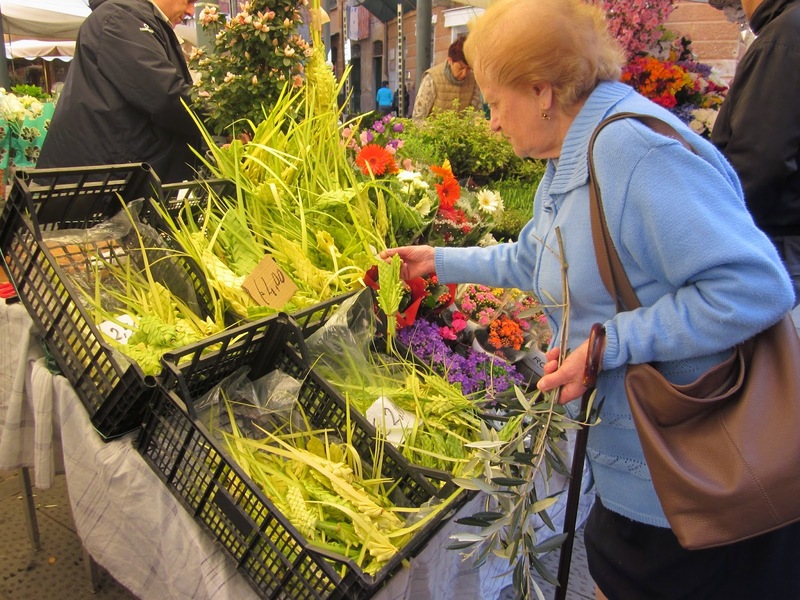 The church ladies have been out selling braided palms in the local street markets all week, while others have been busy decorating their churches with palm fronds and braided palm crosses. It’s an old custom that is kept alive to remember the crowds that held palms and olive branches as symbols of peace and joy when they greeted Christ as he entered Jerusalem six days before his passion. 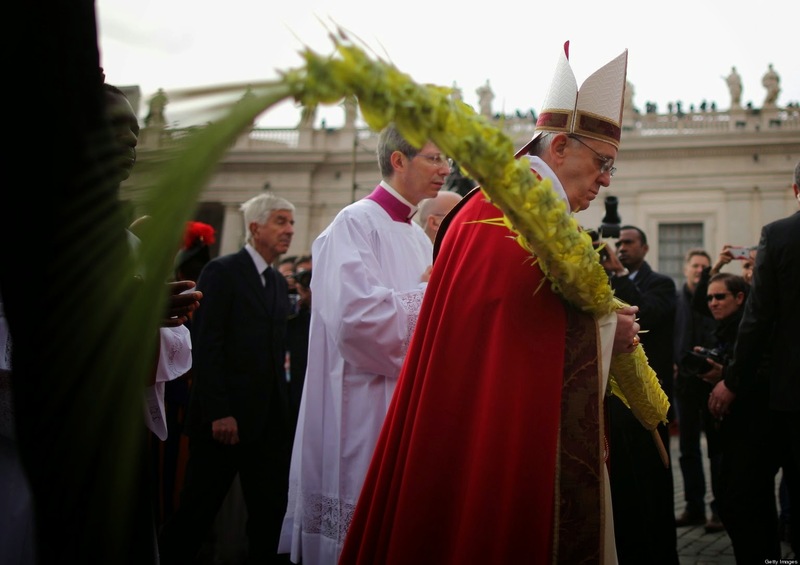 In Rome’s St Peter’s Square two thousand woven palms have been blessed and will be given away. One hundred palms have already been given to the Cardinals, with the largest one reserved for Pope Francis. The palms are a gift from the Ligurian towns of Bordighera and San Remo and are part of a long tradition that began in 1586. That was the year Pope Sisto V decided to move an ancient Egyptian obelisk that had been brought to Rome by the Roman Emperor Caligula in the year 37 BC from its location in Caligula’s Circus to St. Peter’s Square. The Pope’s workmen got busy building the foundation needed to support the heavy obelisk and by the scheduled installation date of September 10, 1586, all was ready. Hundreds of Romans gathered in St. Peter’s Square. The monument, which weighed 350 tons, would need 900 workers, 140 horses and 44 winches to move it and set it up. Who would want to miss that show? No one. 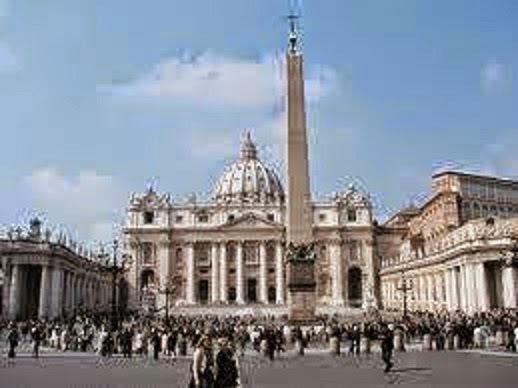 The Vatican’s Chief Engineer, Domenico Fontana, warned the Pope that the project was very risky and that total silence would be needed to raise the obelisk once it was in St. Peter’s Square. Fontana said that even the slightest sound could distract a worker and result in the obelisk crashing down on the crowd. In other words, a whisper could cause a total disaster. The Pope turned to the crowd and said, “if anyone speaks or makes a sound during this delicate and risky operation, they will be put to death by my order.” As the obelisk was slowly raised, the ropes holding it began to weaken and the obelisk began to wobble perilously. Everyone, including the Pope, was holding their breath. It soon became obvious that the ropes were not going to hold, they were starting to fray and were almost at their breaking point. The ancient Egyptian obelisk was in serious danger of crashing to the ground. Just then, Benedetto Bresca, a ship’s captain from the town of Bordighera, cried out – “aiga ae corde!” Put water on the ropes. The Chief Engineer spun around to see who dared to speak, but then he realized the Captain was right. He ordered the ropes to be doused with water. They soon became taut and strong and the obelisk was raised without further danger of falling. Six days later it was blessed and consecrated. In spite of the Pope’s demand for silence, the Captain wasn’t punished for his outburst, instead he was praised. As a reward, the Pope asked him what he wanted and Captain Bresca said what he really wanted was for his town of Bordighera to provide Ligurian palms for the Holy Week ceremonies at the Vatican. You may think that Captain Breca’s story is pure fiction but there is no denying the fact that Bordighera and San Remo, which are on the Ligurian Riviera of the Palms, do have had the exclusive right to supply the Vatican with palms for Palm Sunday, and those rights are in perpetuity. It’s been more than four centuries since that day the Captain spoke out, and the cities of San Remo and Bordighera have been sending palms to the Vatican ever since. 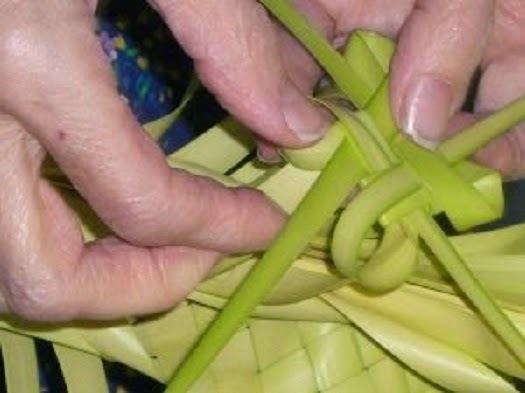 They are the palms used for the Vatican’s traditional ceremony of the blessing of the palms on Palm Sunday. For this special ceremony the palms, which are known as parmureli, are woven and braided into intricate sculptures large and small. If you happen to be at the Vatican on Ash Wednesday, the ashes you receive will be the ashes of the palms from Bordighera and San Remo. 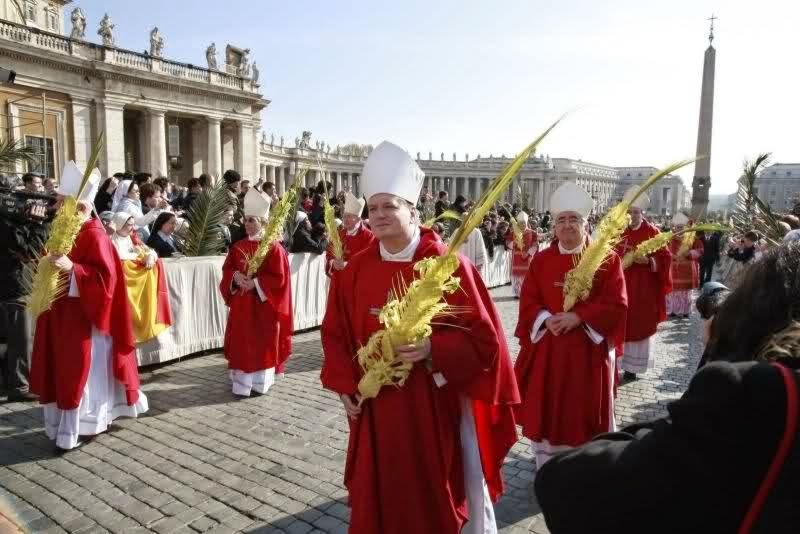 The Vatican, and many churches throughout Italy, save their palms from Palm Sunday and burn them for Ash Wednesday. The Church considers the ashes from the blessed palms to be sacramental and endowed with the power to promote good thoughts and increase devotion.